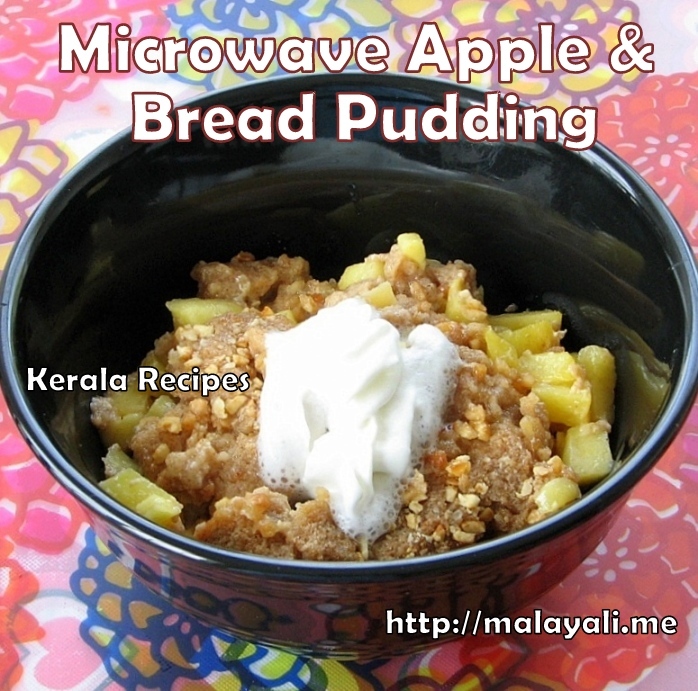 After my success with Microwave Apple Cracker Dessert, I decided to try Apple & Bread this time. I haven’t used eggs in this recipe so it isn’t a regular pudding. 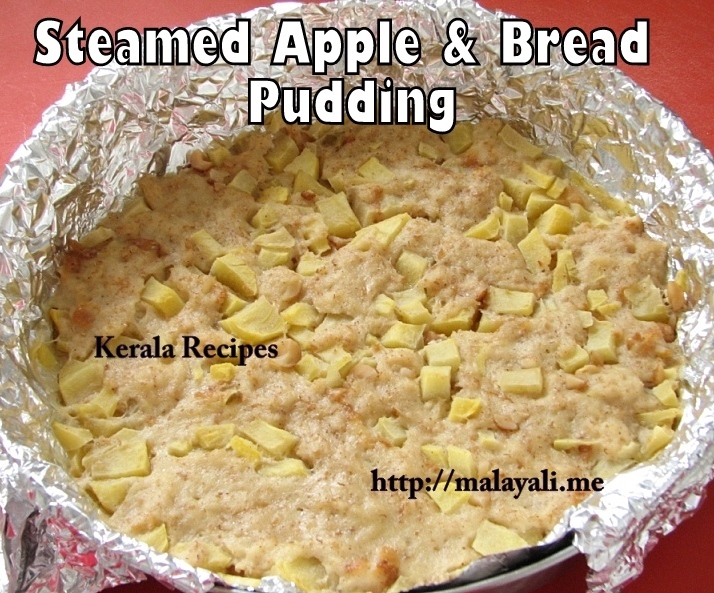 Nevertheless, it is an easy to prepare and yummy dish for breakfast or as a quick dessert. If you use eggs, then it is definitely going to be a pudding. In a microwave safe dish, melt the butter by heating it for half a minute or so. In another bowl, whisk the milk, brown sugar, melted butter, vanilla essence and cinnamon powder. Remove the edges from the bread and cube it roughly. Spread the bread, raisins (optional) and apple at the bottom of the greased microwave safe dish. Pour the milk mixture and allow the bread to soak in for a few minutes. Microwave the dish for around 6 minutes checking every 3 minutes. Sprinkle the crushed peanuts and continue microwaving for another 3-4 minutes until the pudding appears set. Allow it to stand for 5 minutes and then serve with Whipped Topping. Alternatively, you can steam the pudding for around 15 minutes or until set. The texture will be slightly different from the microwaved version.